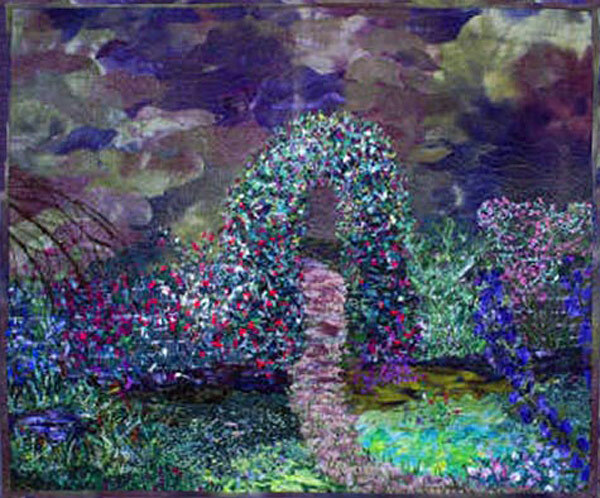 This quilt was inspired by a Thomas Kinkade print. I used Cindy Walter’s Snippet Sensations techniques and it was featured in her book, More Snippet Sensations. It includes extensive machine embroidery and what seems like a zillion little bits of fabric!